SQL, also referred as Structured Query Language, is a standardized query language for accessing and manipulating information from a database. Although SQL is an ANSI (American National Standards Institute) standard, there are many different versions of the SQL language. However, to be compliant with the ANSI standard, they all support at least the major commands (such as SELECT, UPDATE, DELETE, INSERT, WHERE) in a similar manner. By default, the MS SQL Server SA password is blank (NULL) unless you change the password. To conform to the best security practices, we often change the SA password to a strong password at the first opportunity. But something unpredictable happened, we lost or forgot MS SQL Server SA password. Wouldn’t you like to reinstall MS SQL Server? If not, then follow this tutorial to learn how to reset MS SQL Server SA password with SQL Password Recovery Tool. 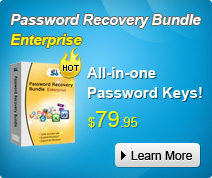 Step 1: Using your favorite search engine (like Google, Yahoo) and searching for SmartKey SQL Password Recovery, point to SmartKey official sitedownload SQL Server password recovery tool and then install it on your PC. Step 2: Run the software, when you see “Open” button, click it to load master *.mdf file. Step 3: After open your *.mdf file, All user names of your SQL Server with their passwords will be showed for you, select SA account and then click “Change Password” to change the forgotten SA password. Step 4: On the Change Password panel, enter your new password and then confirm it. Finally click “OK” to finish your modification. Now, you have changed the forgotten MS SQL Server SA password, it is so easy, right？All steps are a child’s job.